I write this now but don’t know when I shall be allowed to send it off on account of the Censor. As I think I told you before the Navy has been sending occasional parties out to the trenches to get some idea of the fighting in France and bring back stories to relieve the monotony of their shipmates. Well, the Army retaliated by sending some Officers up to the Grand Fleet to see what we were up to. There were to arrive by 8.o’c in the evening and one, a Captain in the R.E., called Webb was to be accommodated in the Agincourt. That afternoon we were ordered to raise steam with all despatch and an hour or two after the soldiers were aboard we got under weigh. The rumour went around that the Huns were out but they have been out pottering about in their own waters so often before, and we have always hurried out to meet them, only to find that before we could get near they would slip back, so we took little account of the rumour expecting that our trip would fizzle out in the same way that it has one hundred and one times before. It was the real thing this time and what we had been waiting very nearly two years for the soldierman who had come to pay us a visit of days sees almost at once. He must think ours a giddy life. Well to get on with the story. The night before the action I had the middle watch, that is 12 to 4. The next afternoon we exercised action stations for about an hour my station being the foretop, namely the foremast from where I control the 6” guns of which we have ten aside. By control I mean that I get orders up a voice pipe from the Captain in the conning tower to open fire on such and such ship and I do the rest, viz, give them the bearing of the enemy, range, deflection, etc, and keep altering the range so as to keep trying to hit the enemy. After finishing our exercise we had lunch and I got into my chair for a well earned snooze, having been up half the night. The Fleet all this time was steering in the direction where the Admiral had news by wireless of the enemy, and we were still in a state of apathy, expecting the whole thing to come to nothing. However about 3 o’c in the afternoon we were wakened by a signal from the Fleet Flagship to “prepare in every respect for instant action” which entailed a busy hour’s work for us doing the thousand and one little things that had to be done, different of course in every ship. My job was to see a number of the men’s hammocks stowed down below out of the way and then to see a lot of tubs and fire buckets in different parts of the ship filled in case a fire system should get shot away in any part. By the time I had done that it was after 4 o’c and it was my first dog watch, viz, 4 to 6 I had to rip up on the bridge having had no tea. During the first dog we kept hearing reports by wireless, that the battle cruisers and our faster battle ships were engaging the enemy. About a quarter past five we could hear firing but the weather was very hazy and we could not see them, visibility about 7 miles. At about 10 to 6 we saw the flashes of guns on our stbd bow, we had gone into action about 10 minutes previously. The Captain had had it piped round the ship about 10 minutes before that the battlecruisers were engaging the enemy which brought forth a rousing cheer and all rushed off to their stations full of excitement. As officer of the watch I had of course been in charge of the ship up to that moment so I turned over to the Captain and went up the foremast to my station. On arrival there I got the report that both my batteries were ready for opening fire, which I passed on to the Gunnery Dept and then proceeded to wait my chances. The flashes we had seen were our own battlecruisers firing on the enemy. They crossed ahead of us aamd presently through the smoke we made out the enemy and opened fire on them with our 12” guns, of which we have 14. They are controlled by the Gunnery Commander from a position on the foremast just above mine. The reason we are up there of course that to a certain extent it puts us above our own smoke and also one can see further. The higher you are the better you are able to spot the fall of shot. With a low visibility one could see flashes everywhere but it was difficult to make out ships , however we saw our 12” were hitting all right first firing at a cruiser and later at the battleships as they came in sight My old ship the ‘Defence’ passing close to us to take up her station was being fired at by enemy ships that were out of sight from us. I saw three salvos of shots that were falling all around her and the fourth got her. It must have been a hit in some magazine for there was a tremendous explosion before she sank. Later we passed a ship, bottom up. I should judge from the size and colour that it was a German light cruiser, but I have no means of telling at present. We also passed one of our Destroyers with all hands on the upper deck flying the signal that they were in imminent danger of sinking. Great columns of water springing up all around us caused by the big shells firing at us, they sent up a column higher than the mast of the ship, the ship next ahead of us was straddled, viz 3 shots short and 2 over, luckily not hit by a salvo and we saw the water streaming off her as if she had suddenly plunged into a heavy sea . We were hit by lots of small splinters from the big shells bursting but no direct hit and very little damage done. The decks a bit scored in places and most of the boats had a hole of two in them. My chance didn’t come at first but later after about half an hour the enemy developed a destroyer attack and out of the haze about 60 degrees on our starboard bow a lot of destoyers came racing towards us. I opened fire at about 9000 yards and managed to cripple 0ne, for we counted five direct hits and the rest then turned away without getting in their attack, leaving one disabled behind. I did not see it sink but our destroyers must have finished it off alright as it could not steam. We saw the tracks of torpedo’s fired at us at various times and three times had to alter course to avoid them, two passing ahead and one astern, all pretty close shaves for us we also saw one torpedo break surface about 50 yds abeam of us having run its full course and just not reached us, so we were quite in luck’s way. Our flagship, the Marlborough, was hit by a torpedo but managed to stay on till the ed of the action. She had a list of about 5 degrees but it reduced her speed very little. During the night the admiral transferred his flag to another ship and the Marlborough made off to the nearest harbour where she arrived safely. We lost the enemy in the haze and dark that was coming on. During the night we saw lots of flashes from guns along way from us, Destroyer attack certainly , but on whom I don’t know. I got no sleep that night, being in the foretop all the time constantly on the lookout. About 10:30pm I was relieved for about half an hour to get my food, my first since lunch at noon and to put on warmer clothes for the night. Some time at about 16:30 in the morning we sited a ZEP, which we had a bang at but I fear made no impression. There is I think nothing more to tell you. I only hope that next time we come up with them it will be in the morning and not the evening, there will probably then be more to write about. I am tremendously in luck being stationed in the foretop for I could see all there was to be seen and one can’t conceive a grander spectacle than a Naval Battle. Written June 3rd, 1916, HMS Agincourt. (Kindly submitted by Adrian Wildish. Lt. (later Captain) Horatio Westmacott was Adrian’s maternal grandfather. Horatio was from Probus in Cornwall, where his father was the local Parish Priest. His tomb is there along with Horatio’s brother who was killed during the war and whose name is on the local War Memorial. Horatio developed Multiple Scorosis and died in the late 1950’s in Torquay Devon. 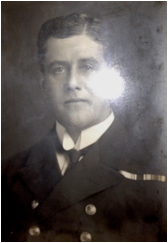 Aged thirteen, Herbert (Bertie) Acheson Forster went to Dartmouth as a naval cadet As war broke out, joined the crew of HMS Invincible His posting had changed from the Victoria & Albert to Invincible so that he could accompany other officers of the Royal Yacht to the new dreadnought, purchased by the Turkish Navy, but now commandeered as HMS Agincourt. This saved his life as, tragically, Invincible sank with all hands. 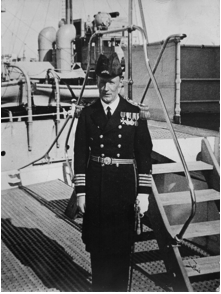 In 1937 he retired as Rear Admiral Forster MVO, RN. HMS Agincourt was originally been built for the Turkish navy and would have ben known as known as the Sultan Osman. As the situation in Europe heated up Churchill was getting ready to sieze the ship and keep her for the British Royal Navy. On July 31st (after Russia had mobilized) he told Armstrong Vickers, her builders, of his intentions. At 14:30 that afternoon the Turks paid a large installment (£800,000) into the Vicker’s account. Immediately Churchill ordered her siezed, bot telling the Turks. British sailors boarded her and took her over within minutes. It is felt that this action heavily contributed to Turkey entering the war on the German’s side. With all its consequences at Gallipoli. It’s thought that Enver Pasha had offered the Germans the ship knowing that it was going to be siezed which then led them into a more aggressive role of rupport. The ship became known as the « Gin Palace » Inside,when she’d been siezed, she had already been outfitted with fine Turkish carpets.